Hi! I'm Monique! Ambitious Kitchen is a health focused food blog with beautiful, creative recipes and feel good inspiration. Read more. Hope you guys all had a great weekend! Yesterday my Mom and I went on a lovely 20 mile bike ride through gorgeous Minnesota trails. I loved riding outdoors again; it had been too long! Of course now my legs are killing me, but I suppose that’s a good thing. It occurred to me that I get incredibly hungry both during and after my rides, and so it’s probably a good idea to pack healthy snacks with me to provide me with extra energy. Granola bars are great and all but come on, who doesn’t love a lovely little muffin to snack on?! Obviously I’m a MUFFIN LOVER FOR LIFE and today I’m sharing my favorite muffin recipes from my blog. 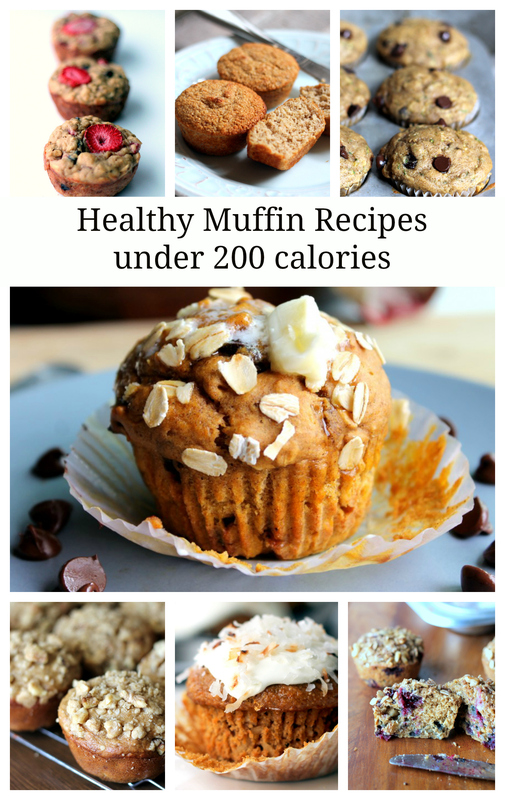 All of these healthy muffin recipes have a few things in common: they’re healthy, focus on clean ingredients, and are all under 200 calories! They really are the perfect breakfast or snack — plus they’re freezer friendly, too! It’s great to have grab ‘n go breakfasts just in case you wake up late, or even for a kid’s lunchbox treat! Just pop them in the microwave for about a minute and you’re good to go! Strawberry + Banana Chocolate Chip Oat Muffins: Healthy strawberry + banana chocolate chip oat muffins made with greek yogurt and no added sugar. Yep, muffins can be this good. 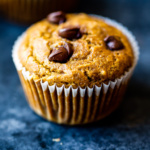 Low Fat Pumpkin Oatmeal Chocolate Chip Muffins: Pumpkin, chocolate chips, and oatmeal come together to make delicious and healthy muffins! Oatmeal Blueberry Applesauce Muffins with Walnut-Oat Streusel: Deliciously oatmeal muffins loaded with heart-healthy walnuts and blueberries then topped with a delicious walnut oat streusel. 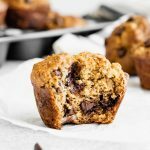 Skinny Zucchini Banana Chocolate Chip Muffins: One of my favorite muffins! Made with greek yogurt; these muffins are healthy, moist and insanely delicious! Kids love ’em! 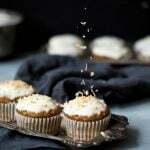 Healthy Whole Grain Carrot Coconut Morning Glory Muffins: Packed with carrots, coconut, walnuts and raisins. A little like carrot cake! 100 calorie Banana Oat Protein Muffins: My go-to snack! These muffins have no flour or added sugar. Made with applesauce, oat bran, greek yogurt, and protein powder. 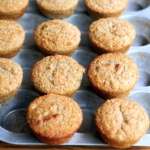 Better-for-you Banana Muffins: My Grandpa’s favorite muffin. Also, a great midnight snack with warm, creamy peanut butter! Tell me, what’s your favorite healthy muffin recipe? I just may have to recreate it! Healthy Gingerbread Muffins + video! Weekend Favorites // 8.16.13 Wednesday Giveaway: NEW Yoplait Blended Greek Yogurt! 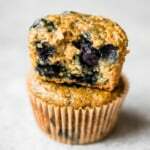 34 Responses to "7 Healthy Muffin Recipes Under 200 Calories"
When I first moved to New Zealand from the US I noticed that a popular trend here is lunchtime savory muffins. They usually have red pepper, zucchini, maybe corn or dried tomato, sometimes bacon, sometimes pumpkin, and cheese. They’re fabulous and make a great small lunch! I’m very excited to try some of yours for this reason. Regular chocolate chip muffin nothing more nothing less just make them good so I can try them myself! Ohh I’m going to have to try that zucchini chocolate chip recipe! All of these muffin recipes sound amazing! I totally need to pin this post! Thanks! You've got my favorites covered! I couldn't even begin to put them in order of love! Wow – these look great, especially the carrot coconut ones! 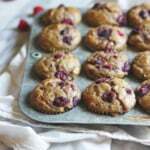 My favorite muffin recipe this summer has been a blackberry walnut bran muffin. I think I’ve made them at least six times! I feel for you with the sore legs – I did that about 2 weeks ago with climbing down and back up a huge flight of stairs (Uncle Tom’s Path at Yellowstone National Park). Hope they get better quickly. sounds to good to be true. I seriously LOVE this round up of lighter muffins! I want to try all of them! I always try to have few muffins in the freezer for my 3 yr. old as an afternoon snack and can’t wait to try the blueberry oatmeal one with walnut streusel! I know she’d love them! I look foreword to trying these recipes ( muffins) !!!!!! I love the carrot pineapple muffins my mother in law makes…she calls them morning glory muffins and I just call them glorious. Could you make a healthier version of these? 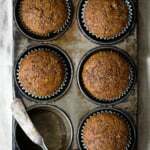 I am sure going to try them…..
Hi!I’m a muffin lover and my favorite is the banana muffin because its really gooooooooddddd……. Sign me up to receive new posts from Ambitious Kitchen! Sign up to get new recipes delivered to your inbox!